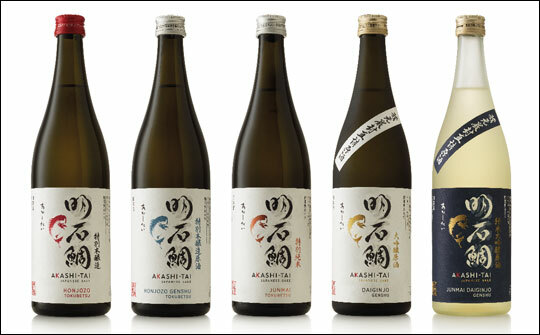 Artisan sake brand, Akashi-Tai has launched a new identity and packaging design by Cowan London. The new design aims to convey the artisanal nature of Akashi-Tai, which is brewed in small batches using traditional methods and positions the brand as an authentic premium player on the global stage. The challenge was to design for two diverse markets with different cultures, codes and customers, ensuring the brand remained credible in Japan, while engaging new audiences in emerging Western markets. The current design looked neither premium, nor artisan, but was ‘the one with the fish’. Cowan initially worked with the brand team at Akashi Sake Brewery to help them define the proposition, brand essence and brand story, to prepare for launch in the US and Germany. The rebrand is rolling out across the UK now. Akashi Tai launched in the US as a new brand at the start of 2018, with plans for it to roll out in France, Germany and other countries in Europe imminently. A sea bream, or tai has always been Akashi-Tai’s brand symbol. Creating a new execution of the sea bream, one that would be distinctive to Akashi-Tai and reflect the brand story, was seen as fundamental to the new design. Samantha Dumont, creative director, Cowan London, says: “We needed to ensure that Akashi-Tai remained highly credible in Japan, whilst appealing, in a less expected way, to an increasing number of intrigued Western consumers. It seemed natural that the Tai icon and kanji calligraphy should take centre stage on the label, but once we understood the nuances of Japanese symbolism and the construct of Japanese design, it was interesting to discover that we had to un-learn some of the usual graphic design rules that we apply in the UK”. To create the tai, Cowan London worked with French artist and illustrator Aurore de la Morinerie, who had studied calligraphic technique which influenced her artistic style. Cowan London claims that she was chosen for her rapid and precise execution, which fully conveyed the character and energy of the tai. Hirano Sogen, a Japanese artist and calligrapher, was commissioned to create the Akashi-Tai kanji brand mark. The five variants now all display a unified design. A limited palette on Japanese paper is said to reflect the artisan nature and the authenticity of the brand. A neck label and frosted glass bring to life the more premium sakes, and colour coding across variants is intended to help customers understand and explore the different sake choices across the range. RRP for the range – prices start from around £21 for Honjozo Tokubetsu (720ml) to around £50 for top of the range Junmai Diagingo (720ml). Available in retailers including Selfridges, Harvey Nichols, Lea & Sandeman and Majestic Wine.